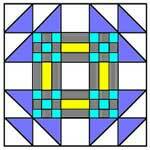 The winged square is a delightful variation of the original nine patch quilt. 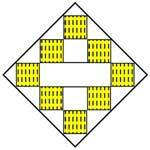 Only 3 of the 9 patches are plain squares though, and the other 6 are pieced or 4 light and 4 dark triangles. 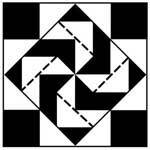 The 12 inch pieced quilt blocks can be put together with alternate plain white squares so the pieced ones "wing" all in one direction. 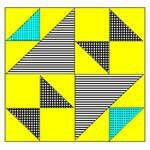 Or 12 pieced and 16 plain can be used, giving a more surprising effect. 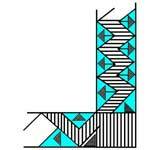 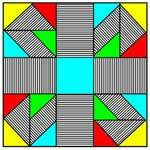 Be sure to add seams to this quilt pattern. 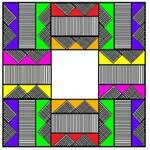 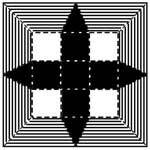 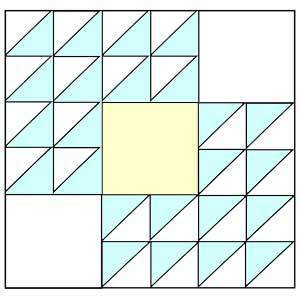 Click on image to print the 5" block of the Winged Square Quilt pattern.